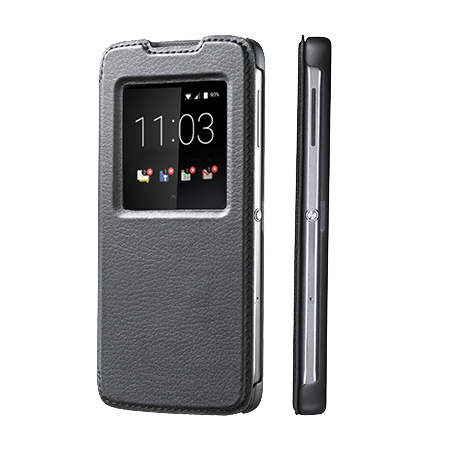 Providing an elegant protective design that feels great in hand while still being durable, the BlackBerry® DTEK50 Smart Flip Case is designed for those who value both form and function. A custom opening for convenient viewing of message notifications and the ability to keep talking with the case closed ensures you can be sure you’ll never miss an important message or conversation. 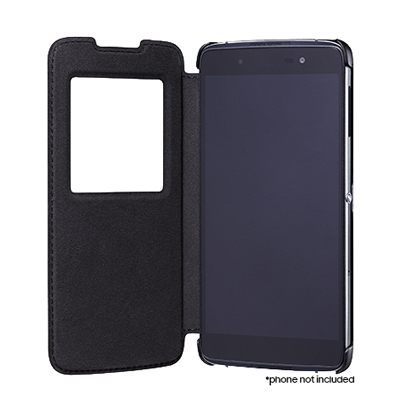 Attaching to the back of the handset, the BlackBerry® DTEK50 Smart Flip Case offers a perfect fit.